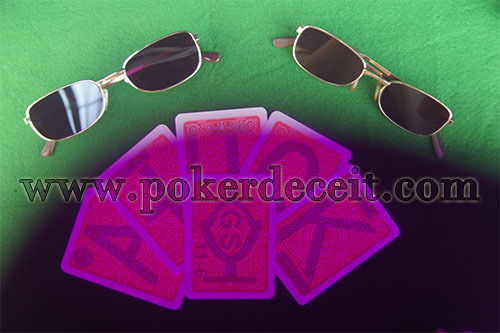 Luminous marked cards glasses are a special useful tool of poker marked cards, it can work as marked cards reader. You can use them to read contact lenses marked cards. It has the same function of infrared contact lenses, for self-defense, or poker magic show. 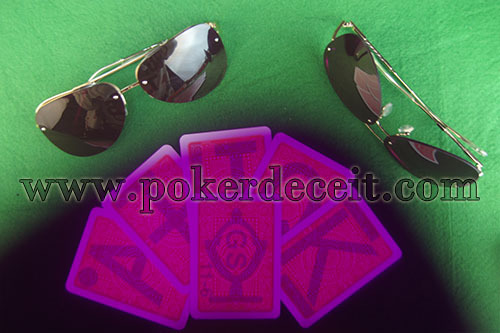 We use invisible ink (marked cards juice) to mark poker cards, you can see marked playing cards clearly in any environment after wearin our best poker sunglasses or marked cards contact lenses. Infrared glasses marked cards are different from infrared camera marked cards, scanner system barcode cards. Infrared camera use different technology to mark the cards, even the cards are be seen on the back, they are also different. Scanner system barcode cards work with poker analyzer, the cards mark on side, side mark. 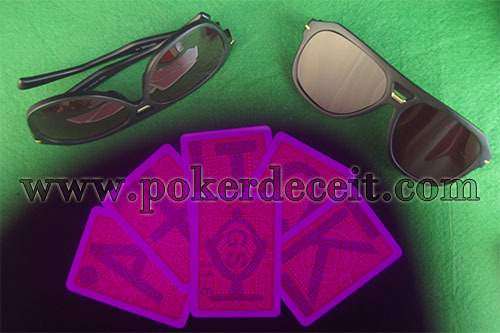 Do you want to own your special marked cards sunglasses? Do you want to look cool in poker games? 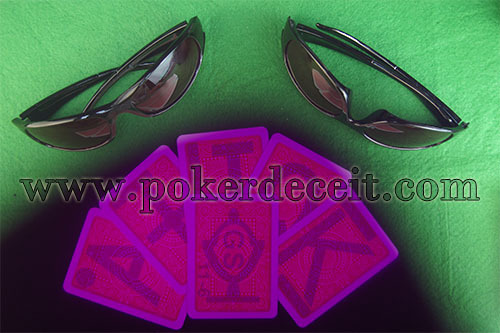 These marked cards glasses are customized for the marked cards, so the color of the outside world you see is light pink or light purple, which is a little different from the normal sunglasses. The main function of marked cards sunglasses is to see the marks on the back of cards, right? Now we have new styles of infrared sunglasses, which can let you be more fashion.